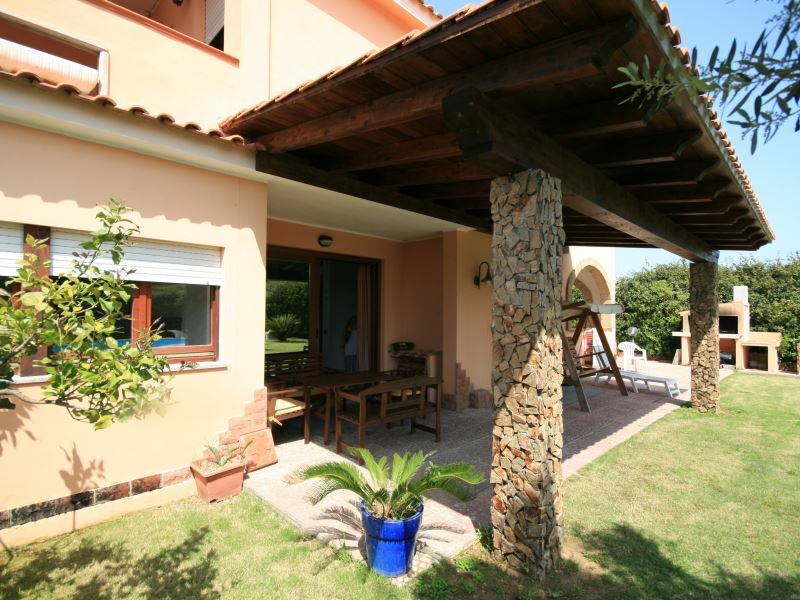 Villa Sara is located in Flumini,South Sadinia, about 30 km from Villasimius and 20 km from International airport Cagliari Elmas. 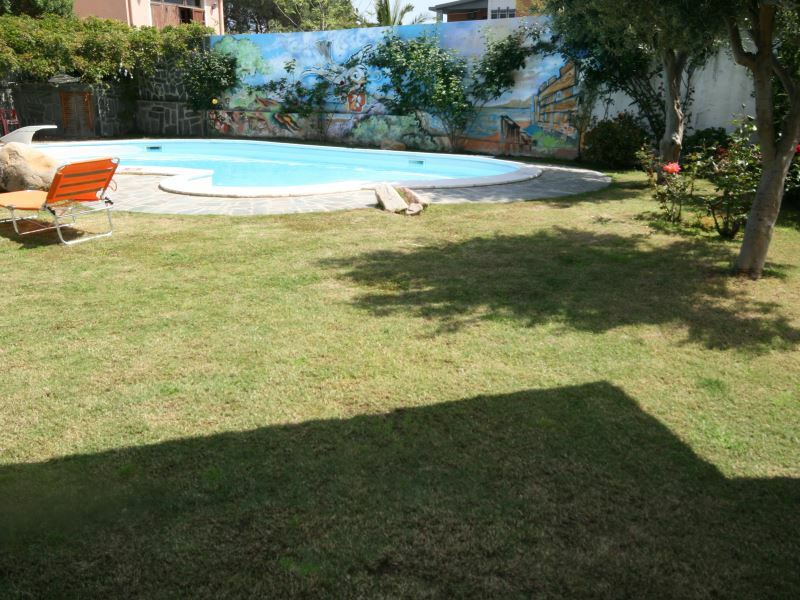 Large detached comfortable villa, lawn with swimming pool. There is a stair of around 20 steps leading up to the main entrance of the villa. Through the entrance after four steps down there is the living area with a fire place and the open kitchen. From the kitchen you can access to the veranda and the outside dining area. On the same floor there is a double bedroom and a shower bathroom. On the first floor there are one double bedroom and two twin bedrooms and a shower bathroom. Barbecue- washing machine, electric oven. Safety box. Wifi and air conditioning. Unit with television for local channels plus DVD.